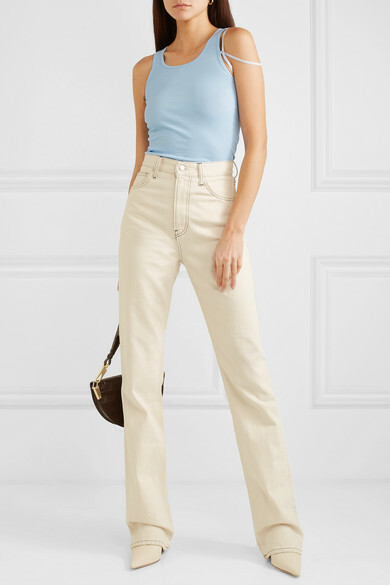 Helmut Lang's top is a must-have if you're on board with fashion's current '90s revival - after all, few things are more of a throwback than a skinny pastel tank. 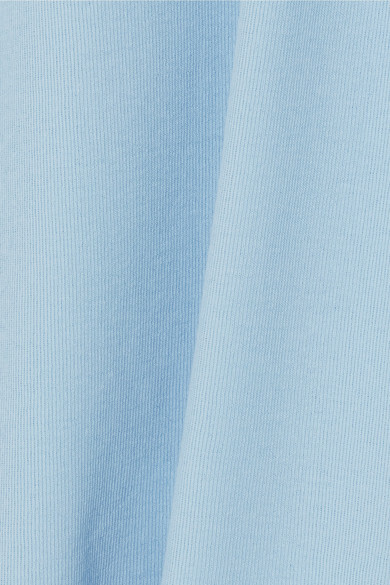 It's made from light-blue cotton that's naturally soft and stretchy. Slender straps drape down one arm, creating the illusion of matching lingerie on display. Shown here with: Helmut Lang Jeans, Chylak Shoulder bag, REJINA PYO Pumps, Sophie Buhai Earrings, Jennifer Fisher Ring.